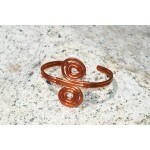 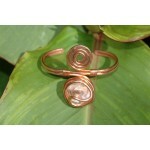 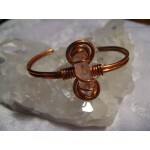 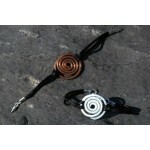 Copper bracelets are an alternative collection of hand-made bracelets. 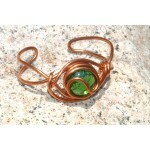 I will make my-self this bracelet with a shape eye just for you, so just give me your size and favorite color for a customized jewel! 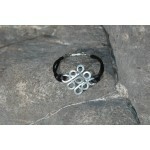 This double spirales bracelet is totally hand-made and customized: it is made of pound aluminum wire. 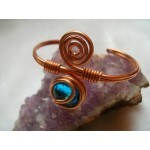 A hand-made and customized copper wire bracelet that you can personalize by choosing yourself the color of the glass bead.